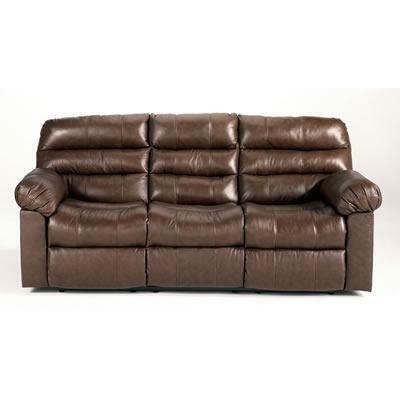 The Memphis - Brown Reclining Sofa with Power featuring Leather Match upholstery in Memphis leather, offers the luxurious look and feel of top quality leather with the benefit of protection. 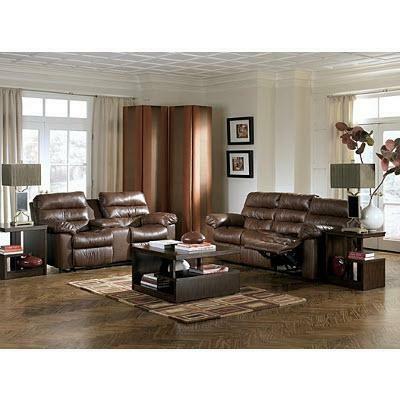 This contemporary design features the comfortable feel of plush pillow arms, divided bustle back cushioning and scoop chaise pad seating perfect for any relaxing living room environment. Reclining Mechanism A single motor power recline in infinite positions. Additional Information Frames have been tested to GSA government standards. Corners are glued, blocked and stapled. Stripes and patterns are match cut. All fabrics are pre-approved for wearability and durability against AHMA standards. Back Attached back. Polyurethane sides and back. Seat Scoop chaise pad seating. 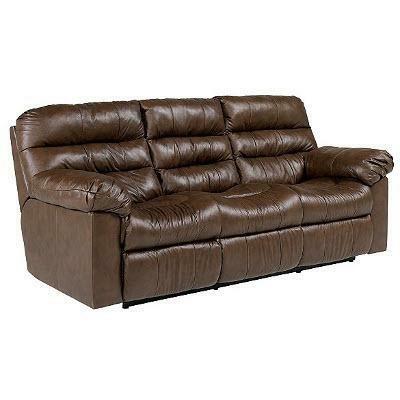 Leather Seating.